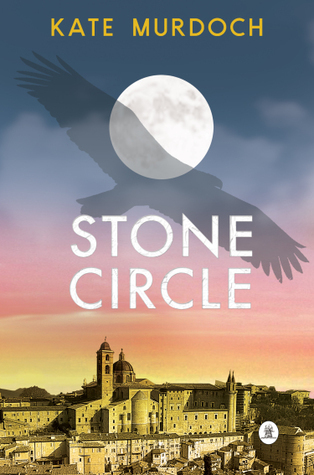 Today I am interviewing Kate Murdoch, author of the new fantasy novel, Stone Circle. DJ: Hi Kate! Thanks for agreeing to do this interview! Kate Murdoch: I’m an artist turned writer. I exhibited as a painter for fourteen years before writing crept up on me seven years ago. I’ve been very focused on writing ever since. At the moment, I’m writing my third novel about a girl orphaned during the 1908 earthquake in Sicily and adopted by a wealthy family in Palermo. DJ: What is Stone Circle about? Kate: Stone Circle tells the story of Antonius, who wins a competition to be an apprentice to the town seer, along with the son of a nobleman. There is intense rivalry as they compete for the attention of their mentor and the affection of his daughter whilst learning about magic and alchemy. DJ: What were some of your influences for Stone Circle? Kate: I have had a lifelong interest in the unseen and unknown. I began looking into Eastern spiritual traditions such as Mahayana Buddhism and the Tao in my late teens. As I wrote ‘Stone Circle’ I was working with a Reiki master who took me to level two, giving me the ability to heal others. Trying to make sense of the world through the lens of different spiritual philosophies has shaped my life and writing. Along with this, there are parallels between my main character Antonius’s ability to inhabit two worlds and reinvent himself, and my own experience as an adopted person. Adopted people are self-invented because they don’t have the information about who they are as they grow up. So there is often a search for identity. DJ: What is the worldand setting of Stone Circle like? Kate: It’s quite a repressive patriarchal society where everyone has their place. I was interested in exploring the role of women within this. The seer’s daughter, Giulia, spends much of her life indoors. She wears a veiled hat when in public. The peasant women, by contrast, are able to move more freely. They don’t have servants to help them, or must be in public in order to work. Catholicism is strongly enmeshed within the culture, so I created a situation where magical practices cause tension with Church officials. DJ: What was your favorite part about writing Stone Circle? Kate: I loved the research—alchemy and its mysteries were fascinating to me and I read widely on both its place within Renaissance society and the philosophy and concepts in a more general sense. The place of women was another area I focused on and read about. I also enjoyed getting to know my characters—they tend to come alive as I write them and tell me what to do. This is one of the ways I approach plotting my novels—by allowing my characters to show me the way. Kate: Magic, romance and adventure in a world that is very different to the one we live in today, yet one in which people have the same desire to love and be loved. DJ: Did you have a particular goal when you began writing Stone Circle? Was there a particular message or meaning you are hoping to get across when readers finish it? Or is there perhaps a certain theme to the story? Kate: Yes. Love in all its forms underpins everything and that self-love is the most important form of all. Also, that to know yourself through spiritual practice can be a guiding force in life and can take people in directions they never thought possible. DJ: When I read, I love to collect quotes – whether it be because they’re funny, foodie, or have a personal meaning to me. Do you have any favorite quotes from Stone Circle that you can share with us? DJ: Now that Stone Circle is released, what is next for you? Kate: I’m hoping to complete the first draft of my current manuscript in 2018 and am excited about connecting with readers now Stone Circle is out in the world. I’ve also just signed with Regal House Publishing to release my second novel, The Orange Grove, in 2019. So next year I’ll be working with their editors to get the manuscript ready for publication. DJ: Before we go, what is that one thing you’d like readers to know about Stone Circle that we haven’t talked about yet? Kate: Stone Circle explores the idea that our only constraints are created in our own minds. Transformation is always possible. When Antonius’s father dies, he must work to support his family. He finds employment as a servant in the Palazzo Ducal, home of Conte Valperga. Sixteenth-century Pesaro is a society governed by status, and Antonius has limited opportunities. Kate Murdoch is the author of Stone Circle. She exhibited widely as a painter both in Australia and internationally and was a finalist in a number of prize shows before turning her hand to writing. In between writing historical fiction, she enjoys writing short stories and flash fiction.